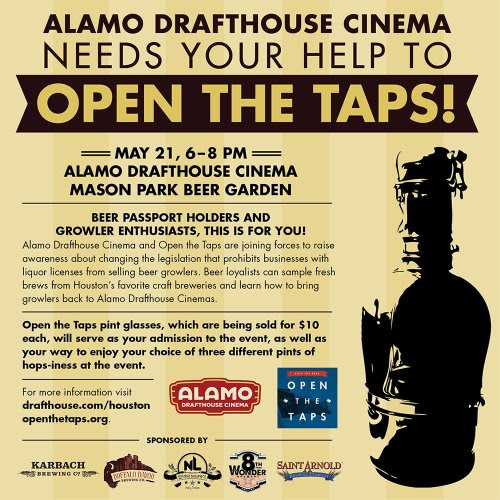 On Wednesday, May 21st from 6:00pm – 8:00pm, Alamo Drafthouse Cinema and Open the Taps are hosting a fundraising event at the Mason Park location to raise awareness about changing the legislation that prohibits businesses with liquor licenses from selling beer growlers. Beer loyalists can sample fresh brews from Houston’s favorite craft breweries and learn about how to bring growlers back to Alamo Drafthouse Cinema. Tickets are $10 each which includes a pint glass and 3 beer samples. As both a brewery owner and active member of two brewing associations, Steve Hindy (co-founder of Brooklyn Brewery) has over twenty-fives years of first hand experience with the industry's inner workings and relationships. His book, The Craft Beer Revolution: How a Band of Microbrewers Is Transforming the World's Favorite Drink, is an insiders story about the rise of craft brewing, the struggles within the industry and it's associations and the relationships with "Big Beer". Everyone is familiar with the story that Fritz Maytag is basically credited with sparking the craft beer revolution when he bought Anchor Steam Brewing just as it was about to close, but you'll learn about a lot of other people who also deserve some credit. And as an active Director of both the Brewers Association and the Beer Institute, Steve has being working hard to improve and steer the industry as well. There's definitely a lot of historical facts and tidbits that I was completely unaware of, but it may be a little too in-depth for readers who are not directly involved in the craft brewing industry. However, it's those stories that I found the most interesting. The ones that involve Jim Koch of Boston Beer Co. and the apparent running feud with some of the brewers (including Steve) were particularly entertaining (and explain Koch's quote about the book). It's definitely a great read and I recommend it to anyone who's interests in craft beer go beyond just drinking it. 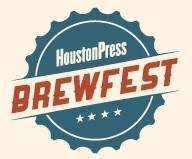 The 3rd annual Houston Press BrewFest takes place on Saturday, May 17th from 2pm ~ 7pm at Silver Street Station (the same location as previous ones). Over 35 local, national and foreign breweries will be serving up a variety of different beers on tap and from the bottle. It's a great festival for trying a variety of beer styles in one place as well as an opportunity to try some of the new craft breweries that are not widely available. There will also be bands playing and local food trucks on-site. General Admission and VIP ticket options are available and both include eight 3oz sample cards. The VIP ticket includes access to a special area with additional beers and appetizers. Enter Promo Code AllGoodBeer (before noon on Friday, May 16th) and you'll get a discount off the original price. May 7th is National Homebrew Day which was created by the American Homebrewers Association (AHA) in 1988 as a way to raise awareness about homebrewing. Homebrewers are encouraged to bring together non-homebrewing friends and family on the first Saturday in May as part of the AHA Big Brew event to teach and demonstrate this fun and rewarding hobby. 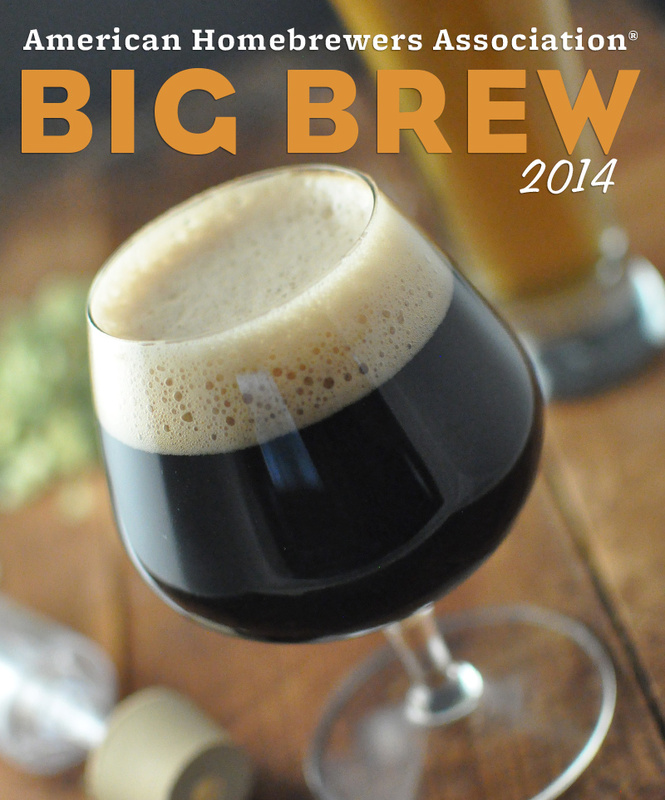 A number of suggested homebrew recipes are selected for AHA Big Brew participants to follow. This year’s recipes, which consist of a pale ale, stout and dark lager, are all gold medal winners from last year’s National Homebrew Competition. And then, at noon CDT, all homebrewers and beer lovers are encouraged to raise a glass of homebrew in a simultaneous toast that celebrates those who craft homemade beer, mead and wine for their friends and loved ones. Although I haven't brewed at home in awhile, I'll certainly try and remember to toast those who are at noon this Saturday. Cheers!